When your Mazda needs expert auto repair, turn to the auto mechanics at Complete Automotive, Springfield’s finest repair facility. The owners Carl and Maureen Hutchinson and their staff of auto mechanics and customer service professionals will make sure your Mazda 3, Tribute, or Miata performs as well as it did the day it left the factory. All auto mechanics at Complete Automotive are required to attend regular continuing education programs, ensuring that they are up to speed on all the latest diagnostic and auto repair techniques in the industry. And they’re well-known in the Springfield area as the ones to go to for pesky mechanical or electrical issues that others just can’t sort out. “I want to take a minute and express my gratitude and loyalty to Complete Automotive. I was one of the first customers when Carl first opened his shop on Kearney street. I have watched them grow their business in the most amazing way. I am so proud of watching the integrity, honesty, knowledge,and customer service that Carl and Maureen have demonstrated. I have watched as they grew from small, with Carl manning the phones and both working themselves beyond normal, to now having several service writers, and more mechanics. I have never been disappointed with their service. They know me by name when I call or come in. They know my car and have worked on both small and big problems. I always refer to them if anyone asks about car repair. Mark, the service writer is a hoot, but gets business done. Thank you for being honest, holding on to your integrity and growing the right way. I will always plan to trust them with my car.” -- Rosalynn W.
All repairs at Complete Automotive come with a Certified Auto Repair Group 3-year/36,000-mile nationwide warranty. 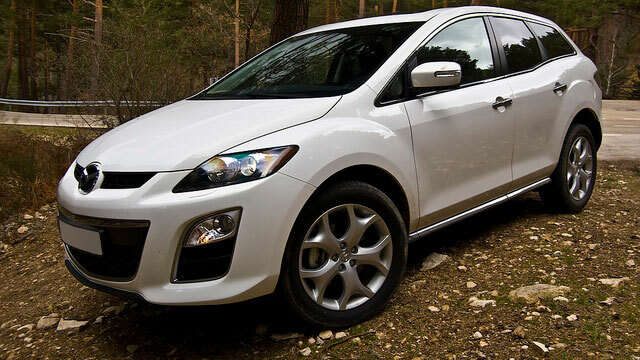 We want you to feel that your Mazda will take you wherever you need to go safely and with confidence. Add the fact that everyone at Complete Automotive treats customers as friends, and you have the perfect place to go for all your Mazda auto repair needs. Stop by today at 2238 E. Chestnut Expy. in Springfield, MO 65802 or simply schedule an appointment online. You--and your Mazda--will be glad you did.